Southwest Airlines, Kansas City's largest carrier, is adding planes that can hold 175 passengers to its fleet. An estimated 40,000 travelers will pass through Kansas City International Airport Tuesday. Airport officials expect about 12 percent more passengers this holiday season compared to 2015. They’ve seen 31 consecutive months of growth. “We’re really busy, not only with folks traveling home after spending the Christmas weekend with family, but also those that are ready to depart on a winter break vacation, maybe a ski trip,” airport spokesman Justin Meyer says. He says winter storms over the weekend didn’t have a significant impact on travel to and from Kansas City because most airlines run reduced schedules on Christmas Eve and Christmas Day. While KCI has added a few new routes in the last year, Meyer says what’s getting bigger is the planes. “The airlines have really replaced those small, 50-feet regional jets with larger aircraft,” he says. 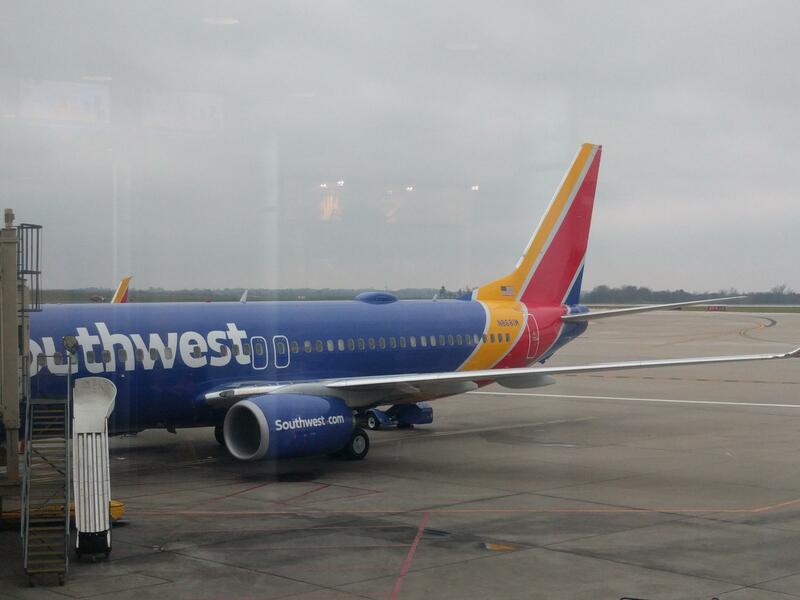 Southwest Airlines, Kansas City’s largest carrier, mostly flies 143-seat 737s. But it’s been adding 175-seat 737s to its fleet, Meyer says. The biggest plane flying in and out of KCI holds 230 passengers. Bigger planes take longer to load and unload. They can also create logjams at gates where everyone has to pass through a single security checkpoint. Meyer says TSA wait times can also fluctuate by time of day. The airport is busiest before 8 a.m. There’s another rush in the afternoon, starting around 4 p.m.